The ability to write a strong hook, appealing lyrics that you actually want to sing along with, and bulldozing guitar riffs and rhythms that shatter you as they explode from your speaker; these things come naturally to Hot Rod Circuit, as If I Knew Now What I Knew Then clearly proves. 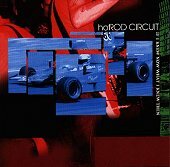 Punk rock driven, emotionally-laden, and melodically inclined, some may refer to Hot Rod Circuit as a punk band, others may be quick to write them off as an emo act. But they are all that and much more. "Weak Warm" runs ramped with slicing guitars, hammering rhythms, and angst-turned-tender vocals that expel their demons by using a melodic shout and allowing the words to burst out of the mouth. "Irish Car Bomb" makes you stand back and take notice with lyrics like "Breath in/ Exhale/ You know you taste like cancer." Stark and striking, the words jump out at you as the fearless guitars drive the song and the agile rhythm section pounds out solid, tight blows of melody for you to chew on. Then there is "Chemistry," a thick, methodical number that is at first serene and then hits you with its powerful depth and heavy-hearted feelings. "Achy Breaky Hockey Hair" lightens things up with a full-throttle blast of punk. And "Low" closes out the album with a wall of noise and more emotionally pulling words and vocals. Words and vocals that make you want to sit back and think. A blast of noise and punk rock coupled with a blast of lyrics that are felt and make you want to feel, Hot Rod Circuit races and paces throughout this ten track album, delivering stark music that will make you want to jump right in. I'll give it an A-.